The Tejano Music Hall of Fame Awards begin at 6 p.m. Sunday at the Outta Town Dance Hall in Mission. This Sunday is the first Tejano Music Hall of Fame Awards. After months of planning, the event is taking place at the Outta Town Dance Hall in Mission, with a red carpet at 5 p.m. and a start time of 6 p.m.
Tickets are $25 for general admission, and $35 for VIP. For ticket information or to reserve a table, call (956) 227-5968. The show will have performances and appearances from Isabel Marie, Elida Reyna, Jesse Turner, Westside Band, Lucky Joe, Epi Martinez and Friends, Los Badd Boyz del Valle, Arroyo Band, Tejano Highway 281, Oscar Montemayor, Cezar Martinez of Los Musicales, Rick Fuentes, and Freddie Martinez. 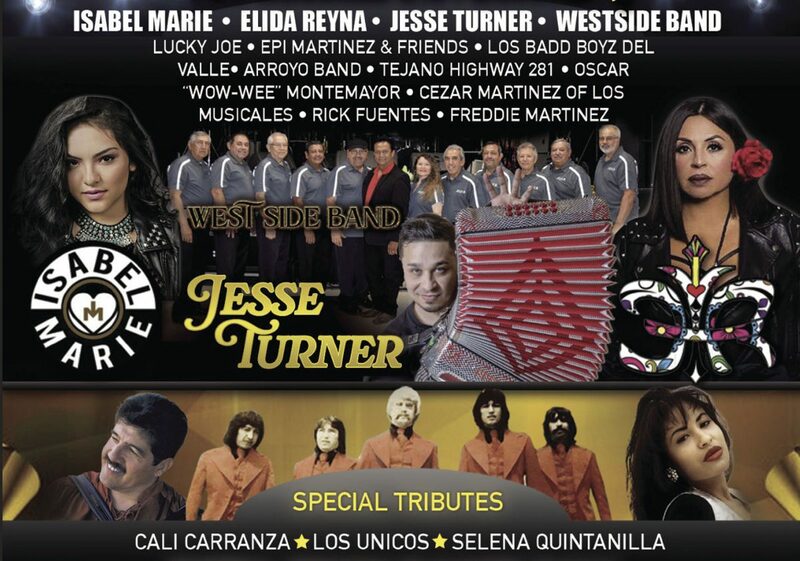 It will also include special tributes to legendary Tejano acts like Cali Carranza, Los Unicos, and Selena. The Tejano Music Hall of Fame Awards is a new nonprofit organization that was launched here in the Rio Grande Valley earlier this year. This new group aims at “promotion, preservation, re-invigoration and recognition of past and present artists and other behind scene professionals” in the world of Tejano music. For the people involved in the organizing of this event, the ultimate goal is making sure Tejano music continues on for generations to come. “My heart is into it,” said Balde Muñoz, one of the co-founders.